On Saturday the 3rd of December, Sligo will host a one day seminar in the MCR Community Hall on Mail Coach Road. The course will also offer students the ability to grade with gradings session to be held afterwards. The course will run as follows first Aikido class 12.00pm to 1.30, second Aikido class 2.00pm to 3.30pm, The gradings will start at 3.45pm onwards. 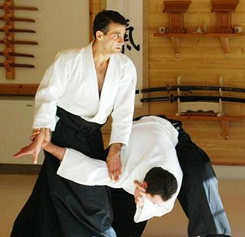 Aikikai Ireland will once again have the pleasure of enjoying a course with Michele Quaranta Sensei 6th Dan Aikikai. The course will be hosted in Athboy by the Athboy Aikido Club. The course is a must on the calendar for all Aikikai Ireland students and any Aikido practitioner interested in high standard and thoroughly enjoyable Aikido training. The weekend offers a chance for everyone to meet and train with new and old friends and socialise and have the craic too!!! Sports Gymnasium, Athboy Community School, Kildalkey Road, Athboy Co. Meath (see map below). 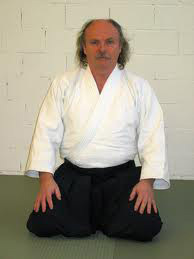 On Saturday 13th and Sunday 14th of August 2011 there will be a seminar with Joe McHugh Sensei 4th Dan Aikikai. The course will be held in St.James Hall in Athboy and will give people once again the chance to train with Joe McHugh Sensei and sample the relaxed and enjoyable atmosphere of one of Joe Sensei's courses. Not forgetting the chance also to enjoy the top class hospitality of the Athboy gang that is always so capably provided. So put it in the diary folks, look forward to seeing you on the mats. On Saturday the 11th of June, Sligo will host a one day seminar in the MCR Community Hall on Mail Coach Road. The course will also offer students the ability to grade with gradings session to be held afterwards. 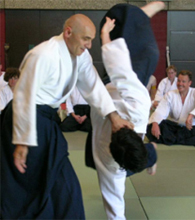 Athboy Aikido Club on behalf of Aikikai Ireland will have the pleasure of hosting Fiordineve Cozzi Sensei 5th Dan Aikikai on the 29th, 30th of April and the 1st of May. Fiordineve Sensei will have "20" travelling Italian Aikidoka with him from varying Italian dojos, be prepared for an Italian invasion. 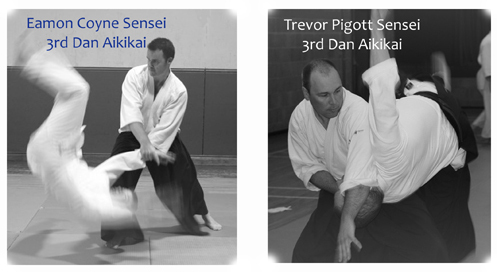 The Saturday and Sunday classes will be hosted by Trevor Pigott instructor of Athboy Aikido School. Venue: Sports Gymnasium, Athboy Community School, Kildalkey Road, Athboy Co. Meath (see map below). Frankville House is already booked up for our Italian visitors, and the 2 hotels in Athboy are filling up fast as it is a Bank Holiday weekend, and there will be a wedding, too. So book your accommodation NOW!! Aikikai Ireland can look forward to our technical adviser Michele Quaranta 6th Dan Aikikai visiting us once again on the 1st ,2nd and 3rd of April 2011. 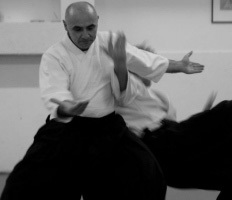 We will look forward as always to Michele Sensei's visit and one of his thoroughly enjoyable courses. The course will take place in the picturesque village of Rosses Point. The venue is the Scouts Den which is beside the Yacht Club right on the beach front offering panoramic views of the Atlantic Ocean. With such a beautiful location let's hope that the weather holds out for us. Accomodation details can be found below at the Rosses Point Guest House for reasonable prices in a newly built facilty which is right beside the training hall. Venue: Scouts Den, Rosses Point, Sligo. Fund Raiser Lunch: In light of the recent tsunami disaster in Japan we are having a fund raising lunch with a selection of savoury food on the Saturday. The cost of the lunch is €5 and all monies raised will go to a nominated tsunami charity to assist the Japanese in their time of need. 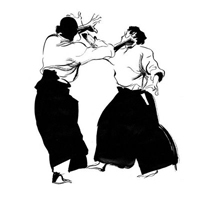 On Saturday the 29th of January Athboy Aikido Club will be the venue for the first Aikikai Ireland course of 2011. The seminar will be given by Joe McHugh Sensei 3rd Dan Aikikai. Anyone that attended the course with Joe Sensei back in October really enjoyed the training as Joe gave it in his relaxed and enjoyable yet effective teaching style. The course will be in St. James Hall, Athboy, Co.Meath.